Who is Yvee? (Where are you from? Where did you grow up? What do you miss the most about your childhood? What do you miss the least? 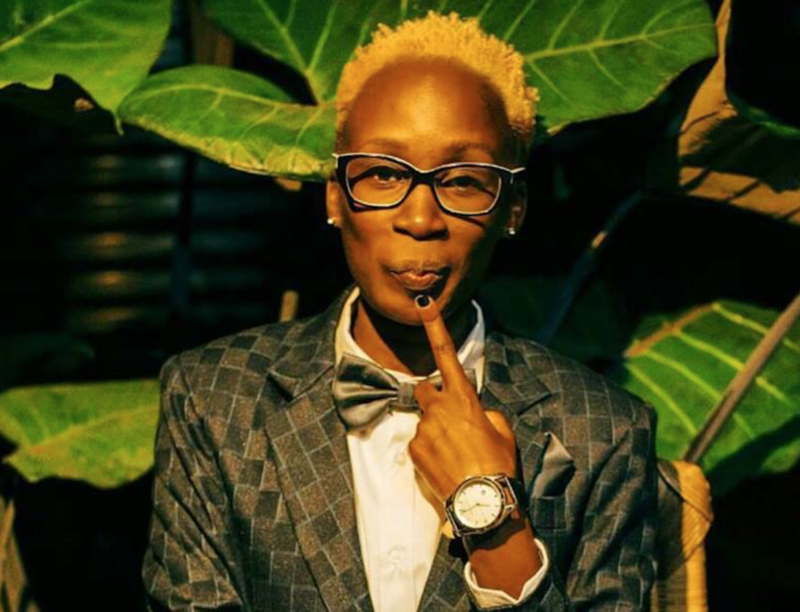 A lesbian, Gender non-conforming feminist & human rights activist living in Nairobi, Kenya. I was born on the stairs of Pumwani maternity hospital; my mum insists on that story. This is because the nurses refused to give her a bed in time. I’m inclined to believe her considering the state of public health care facilities in this country. What I miss the most about my childhood? Christmas! My mum and in turn us were big on Christmas, we literally got everything we wished for on this day. They are the best memories I have of growing up. I don’t miss primary school, so glad I’m an adult now and I don’t have to deal with those bullies masquerading as teachers. How did you come into your activism? Think of a moment, either of witnessing injustice or justice that made you realise that a different life can be lived in this earth. I joined activism because at the time I felt like my friends and I were being misrepresented. The narrative around what it meant to be a gay person in Kenya was completely flawed and I wanted to change that, give a different side to the story outside of HIV. That is how I met other Queer people and realized a whole new world and life. What inspires you daily? It can be people, it can be things? What inspires me? My chosen family, the queer people I have chosen to surround myself with. They are brave, passionate, hardworking, resilient humans and this world is lucky to have them. What is your favourite time of the day? Midnight, most people are asleep and I get to be just me, with my thoughts and most time my movies. How can we strengthen our work as queer/feminist women/womxn/gnc people in Africa? Collaboration/solidarity, working together to amplify the amazing work that we are all doing in our different spheres. What would you do with a million dollars? I really want to come up with a deep response but I fear if left unsupervised, I will just buy a million pairs of shoes. But let me leave my options open just in case the universe wants to grant me this. Lol!